The Northeast Corridor (NEC) team serves all alumni, parents, and friends between greater Boston and Washington, D.C. With over 97,000 Cornellians living in this region, almost half of all alumni call the northeast corridor home. By supporting regional clubs, producing events and facilitating philanthropy to the university, the NEC is the gateway to participation in the region. Our Mission: As Cornell’s local presence, the NEC shares the University’s breadth with its largest community of alumni and friends every day. In collaboration with campus partners, we foster lifelong connections through giving, personal relationships, volunteerism, and events. 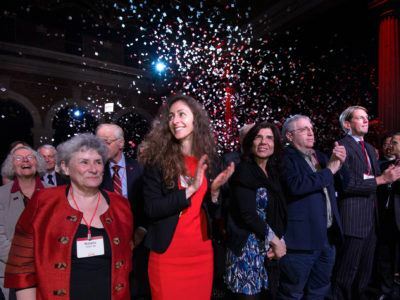 We discover and inspire new supporters who advance Cornell’s mission.